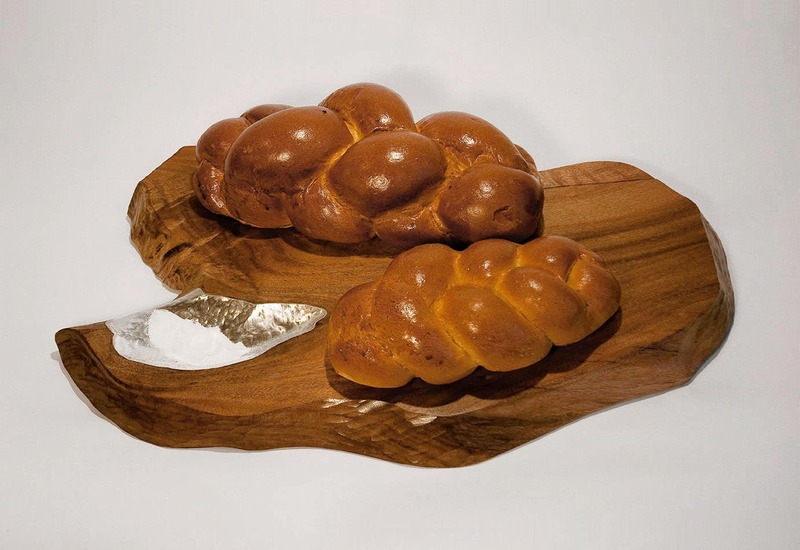 This challah board, commissioned for a 50th anniversary, reflects a traditional interpretation of the blessing over the bread. 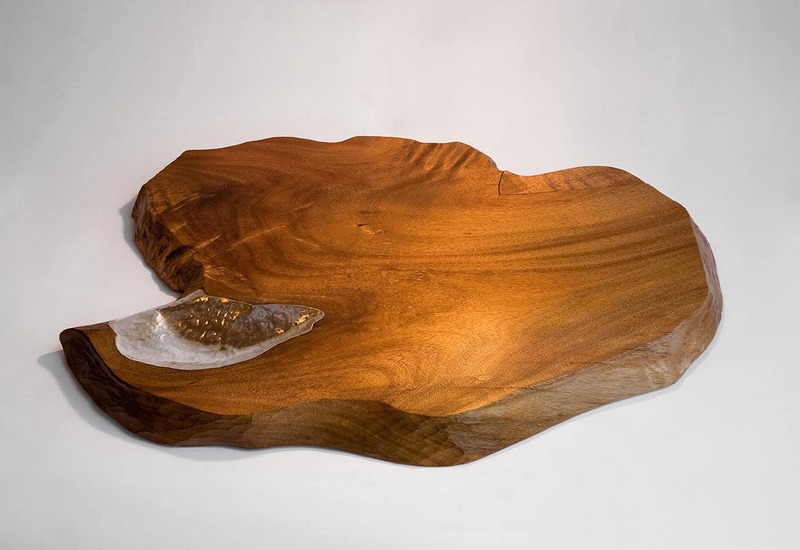 If the two loaves of bread symbolize the double portion of manna, the topographic grain of the reclaimed wood slab symbolizes the desert landscape of the wandering Jews. 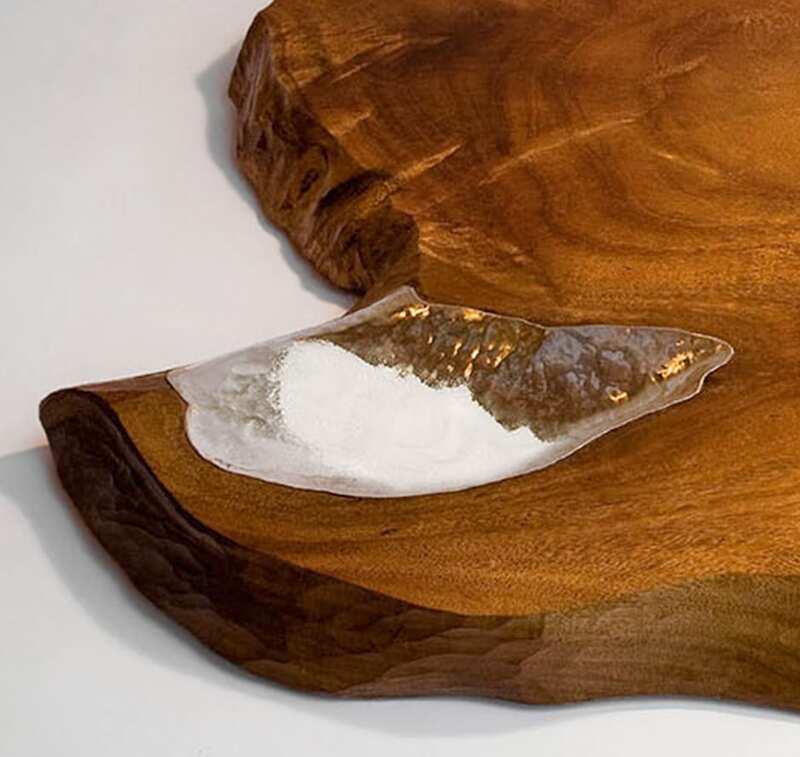 A salt cellar of silver floats like an oasis in the implied hills and valleys. Price varies. Made to order, lead time about 8 weeks.